More and more attorneys are using videoconferencing to be much more efficient in their litigation process. In complex cases that include several witnesses, it is not unusual to come across individuals who are unable to travel to your office for depositions. Traditionally, you would need to travel to them, bringing your court reporter (or hiring a different court reporter local to the witness) along for the ride. With videoconferencing, you can depose witnesses who are out of state or unable to travel without the hassle and expense of a standard deposition. You can also connect with attorneys who are also traveling for cases and unable to attend critical meetings. Through live video, you are offered a real-time link that is practically face-to-face, an invaluable tool to legal professionals across the country. Videoconferencing depositions can take place at a fraction of the cost of an on-location deposition. In addition to budget considerations, a videoconference eliminates the down time of travel for all parties involved. It’s not just the flight time, anymore. Parking, baggage check-in and security checkpoints may take more time than the flight itself. A videoconference deposition can be arranged much more easily, eliminating the difficult task of coordinating flight schedules and travel arrangements. Over the years of providing videoconferencing, we have noticed some that go well and some that did not. In most cases, it is a good idea to have the deposition recorded so it can be referenced in the future. 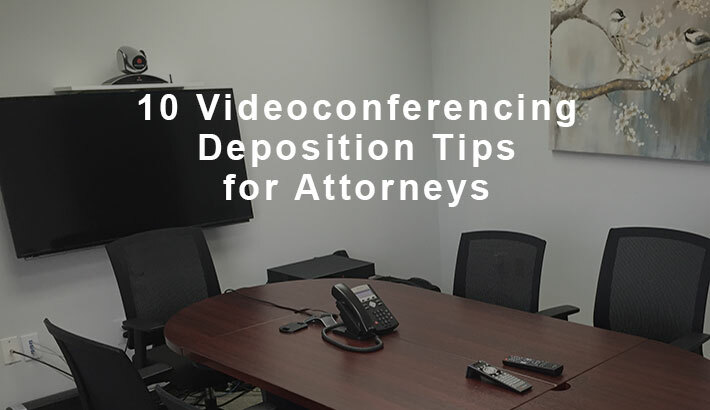 As you know, a video deposition can make or break the case. We’ve put together a list of tips that will help you make the most of your next videoconference. Prepare Exhibits. If you know you’re going to be using a good number of exhibits during the deposition, let your court reporting firm know about them ahead of time. This will help them be more prepared and lessen the amount of time it will take to reference the exhibits. Court reporting firms who know how to use the latest technology will be able to display your exhibits during the videoconference for all to see. Also, if there is anything else you’d like done with exhibits in preparation of the deposition, such as having copies made, your court reporting firm may handle this for you. Location. Have an idea about the general locations where the attorneys and deponents will be located. Your court reporting firm should be able to help you find viable videoconference locations in those cities. 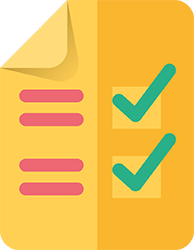 Depending on the location, your reporting firm may do a test run with a connection to make sure everything will go smoothly. If some of the participants will be joining by computer, they will need a computer with a webcam and speakers. An Ethernet connection is not necessary but it’s a little more trustworthy than WiFi. International Participants. 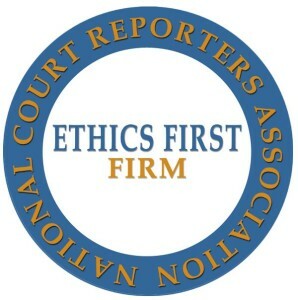 If there are international participants, mention this early on so your reporting firm has time to research whether the country where they’re located observes a civil law or common law tradition. This has enormous effects on the ability of deponents to testify legally at all. Time Zones. Remember to think about what time zone each attendee is in and make sure all are aware of the correct time of the deposition. Getting this wrong can be costly, especially if you’re dealing with expert witnesses. Appearance. A videoconference is not a phone call, and it shouldn’t be treated as such. This may be obvious to you as an attorney but may not be for the deponent. If the deponent is your witness, it might be a good idea to remind them to make sure they look professional. Background. Many attorneys mistakenly believe that the wall behind them makes no difference when attending a videoconference; however, your background can be highly distracting. Avoid sitting in front of a window, as changing light levels can affect the camera brightness and passing cars can pull the viewer’s eye away from you. If you’re sitting near framed photos or posters, make sure they are not distracting or offensive to your audience. Be Early. You would never show up to an important meeting late, and a videoconference is no exception. If you can, sit down in front of your computer a few minutes before the meeting begins to review your notes and focus on the topics in front of you. Body Language. While videoconferences are convenient, they shouldn’t be mistaken for casual gatherings. Attendees can see everything that you and your witness does, so chewing gum, eating, yawning, fidgeting, or any other behavior that could be considered rude or disrespectful should be avoided. If you are attending the videoconference from your computer or tablet, make sure it is on a stable surface. Avoid shifting in your seat. Multitasking. It’s understandable that you would try to accomplish other tasks while you’re on a videoconference. After all, the other attendees may begin discussing something that doesn’t concern you, and you have precious little extra time during the day. But before you return a client’s email or go through tomorrow’s to-do list, remember that everyone in attendance can see you—and they may ask a sudden question that leaves you grasping for a response. Last Minute Delays. If any of the participants get terribly delayed they’ll be able to participate from their smartphone. The Zoom app is free and fully compatible with most videoconference options. Along with these tips, we suggest that you have a conversation with your court reporting firm when scheduling about what’s involved with the videoconference. They may have some additional suggestions to help it go smoothly.